Right away, Amato made it evident that her already considerable game had been elevated. She won the season-opening Saluki Fast Start to kick off the indoor campaign and by her third meet, she was shattering an eight-year old record at the Samford Open, posting a 4.15m vault to replace Molly Bartkiewicz as the program’s all-time pole vault leader. By the end of indoor season—as she was winning her fourth consecutive OVC gold medal—Amato’s record had her tied for 33rd in the entire nation, just missing a chance to compete at the NCAA Indoor Championships. 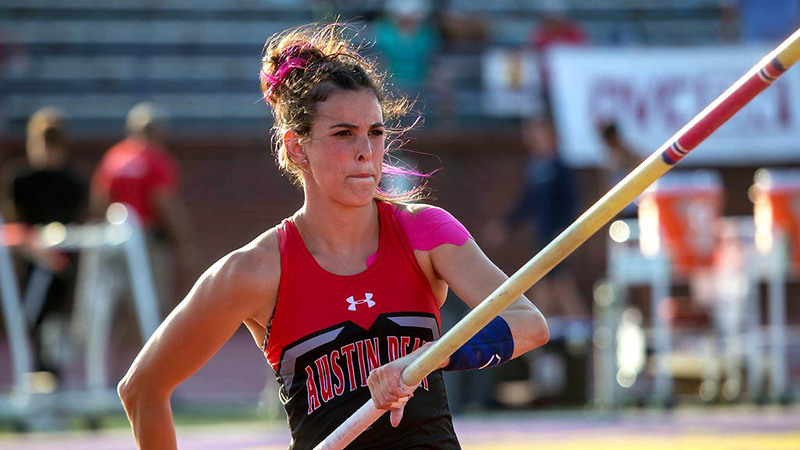 That momentum carried into the outdoor campaign, where she won the opener at Coastal Carolina, set the outdoor record (4.17m) at Western Kentucky and closed the pre-NCAA portion of the season with three pole vault wins in her last four meets, including gold medal No. 5 at the OVC Outdoor Championships. In her junior campaign, she never finished lower than sixth, and even that occurred at the prestigious Florida Relays, which functioned as a precursor to the NCAA Preliminaries (10 of the competing athletes also qualified for the NCAA East Preliminary). Amato also earned her third consecutive qualification into the actual NCAA East Preliminary, something only four other APSU track and field athletes have done during the Doug Molnar era, and became the first Gov since Breigh Jones (2014-15) to earn OVC Athlete of the Week honors five times in a season. All this earned her a nomination for Austin Peay’s Female Athlete of the Year honor.